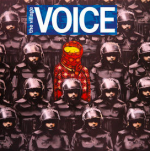 The Village Voice has published a rare interview with Banksy, discussing the artist’s ongoing show of street art in New York City, and his views towards his craft. “There is absolutely no reason for doing this show at all. I know street art can feel increasingly like the marketing wing of an art career, so I wanted to make some art without the price tag attached. There’s no gallery show or book or film. It’s pointless. Which hopefully means something.” The artist says. 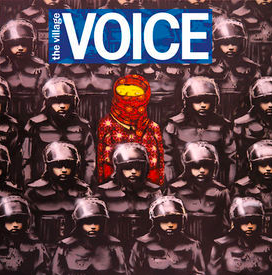 This entry was posted on Saturday, October 12th, 2013 at 4:07 pm	and is filed under Art News. You can follow any responses to this entry through the RSS 2.0 feed. You can leave a response, or trackback from your own site.